I’ve recently said and written a few things about the gospel commission, including my claim in my concluding presentation for my video series on eschatology that eschatology is all about the gospel commission. You’ll hear more about this in my foreword to Dave Black’s new book Running My Race. It’s in the final stages of production and should be available soon. This isn’t a new perspective on my part, but as soon as I start using words like “evangelism,” “mission,” or “the Great Commission,” I start getting questions about whether I believe in dialogue or whether I’ve started to think that all non-Christians are horrible people. On the other hand, each time I start talking about respect, interfaith dialogue, inclusion, and similar topics, someone is bound to ask me whether I’ve given up on evangelism and mission. Perhaps I no longer think Jesus is important. Contrary to the perception of many Christians, not only is respectful dialogue not opposed to carrying out of the gospel commission, it’s essential to it. But there are reasons it so commonly doesn’t seem so. Evangelism is tainted, I believe, by two false directions, each of which bears an abundance of poisonous and rotting fruit. This leads to other spiritually dangerous activities, such as promising people prosperity if they accept Jesus, emotionally manipulating them, or even converting them at sword point or gun muzzle. We can justify whatever behavior we might engage in on the grounds that even if we did use underhanded methods, the person should thank us for not burning in hell forever. This can also (or even in turn) lead to other shallow approaches to faith, such as the meme I saw on Facebook today built around the old idea of the wager of faith. As I understand faith, the wager simply isn’t—it isn’t faith and it isn’t even a wager, since there’s nothing of value on either side. Believing in Jesus isn’t an “in case” sort of thing. It’s not a wager, it’s a total commitment. Pascal’s Wager is an intellectual approach to a spiritual problem. Further, this sort of evangelism doesn’t actually represent love for one’s neighbor. It’s a sort of concern, but it’s more like the hunter has concern for the deer. No, I don’t mean the killing part, though that can happen as well, but rather the concern is for how the deer will fill the hunter’s needs. The second false direction is one of church growth. In this case, evangelism is simply the process of adding members to the church, and more specifically your church. At least this has a longer term goal, i.e., to get the person into a church community. But far too often, this simply feeds into another selfish numbers game. The value of the person is not in who they are or who they can be, or even what God wants them to be, but rather on church statistics. While evangelicals are more likely to go for the first diversion, even progressive churches can fall for this second one. As the saying goes, however, sitting in church doesn’t make you a Christian any more than standing in a garage makes you a car. I think we can identify what’s really important to us by what we pay for and what we report on, and in many of our churches I’m afraid that the concern is increasing membership, which, in turn, is to produce increasing financial support, which will allow us to get more members. What I believe about evangelism is this: It’s a lifestyle. You live as a disciple of Jesus, and you will, in turn, make disciples. I don’t mean that we should all shut up. Of course you talk about your faith because it’s not just important it’s fundamental. There’s another dichotomy between living our faith and proclaiming our faith, but I think it’s also false. Talking about our faith is one way we live it. If we’re talking too much, that’s ineffective living of our faith. I do not keep silent about something that is fundamental. In looking at motivation, I can say that it is a command, and it is. But at the same time it simply follows essentially from what Jesus has done for me. I will share a good thing. Sharing a good thing doesn’t mean forcing others. It’s a natural and friendly thing to share, just as it’s a natural and friendly thing—not to mention loving—to let the other person make their own decisions, including about how long they want to listen. Conversion, in turn, is something between God and the person converted. It’s gotten almost cliched to say that I can’t convert anyone; God does. But unfortunately we turn right back around and pretend it’s all about us. Grab hold of that mustard-seed of faith (I usually feel that I have somewhat less than that, but whatever) and trust God with salvation, conversion, and the spiritual health of others. Further, however, trust God to let you know how you need to be involved, and listen. Listen to God. Listen to other people. God loves each person involved more than you do. He even loves you more than you do. In studying eschatology (and I just completed a video series), I’ve found that God is deeply concerned about the spiritual health of God’s earthly children. I see the story of Revelation as being one of repeated opportunities, with the bottom line message that God does have this under control. Our part is to follow Jesus and make disciples. That doesn’t require being rude, obnoxious, manipulative, violent, or disrespectful. It requires love, and love values the other person, not some imaginary thing I think that person should be. I was talking recently with a friend who commented that there are certain events that serve as anchor points for our faith. For me, despite all the drifting I’ve done since it happened, one of those points was the time when my father was healed. I alluded to this briefly in a comment on the Energion Discussion Network, and was challenged (or so it felt) to retell the story more often. 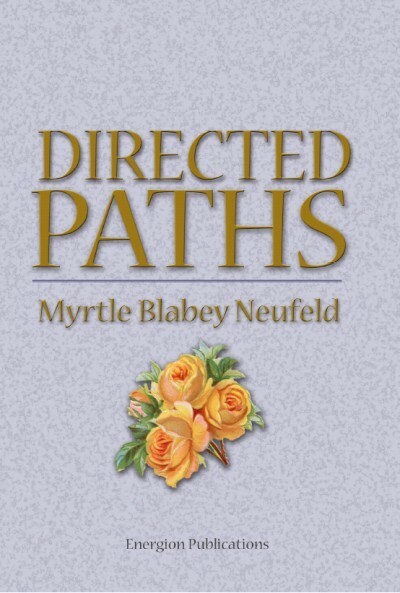 You can get another perspective on this story from my mother’s book Directed Paths, which includes many other stories of God in action. I was 14 years old at the time and will tell this as I remember it. It was 1971 and my parents were called as missionaries to Guyana, South America, where my father was to become medical director of the 54 bed Davis Memorial Hospital in Georgetown. Shortly after we arrived my father required emergency surgery. This took place during the night. The surgeon persuaded my mother not to wake me up, so anything about the surgery is not from my memory, but rather from what I was told. The surgery was on the large intestine and during the surgery there was considerable contamination. In addition, at one point my mother, who is an RN, was left alone as the entire team had to go to an emergency with a delivery in another room. Overall the surgery lasted for four hours, if I recall correctly. Nobody wanted to tell me in the morning, so I was successively directed from room to room until I arrived in my father’s room in the hospital where he was connected to various tubes and devices. It was quite a shock. He continued to be weak for some time, and his digestive processes and intestines would not restart their function. The surgeon said that he would never work again and would not live more than another 10 years. The mission board began to plan to bring my parents back to the states. My parents, on the other hand, did not agree. They said that they had gone to Guyana to perform a mission and that they had not yet performed one. Their choice was to follow James 5, and call for the elders of the church. The elders anointed my father with oil and prayed for his healing and that he would be able to carry out his mission. I was actually quite disappointed with the results that day. It seemed that nothing happened. But from that moment, my father’s recovery began. Within two weeks he took over as sole physician for that 54 bed hospital and was on call 24 hours/7 days per week for the next year before any relief came. He served there for seven years and still worked after he returned to the states. He has now gone on to be with the Lord, though since he was a Seventh-day Adventist he would say “to sleep in Jesus.” I have come to not see a lot of difference there. One breath here—the next breath there. Time won’t matter! But he lived into his late 80s, much more than 10 years and he continued to work through to a normal retirement. He was active as a Christian witness up to the time of his death. I find that story challenging and encouraging. It’s challenging because my parents refused to leave and give up when everyone else was saying the situation was hopeless. It’s encouraging because when they stepped out in faith on their mission, God was there with them. One of the most interesting and troubling things I’ve found about myself and my church (any of the churches of which I’ve been a member!) is the number of things we know we should do and even decide we will do, but which never get done. Seven Marks of a New Testament Church is certainly ecclesiology, but is it shelf ecclesiology (that’s nice) or is it practical ecclesiology (let’s do that)? In this case I can’t point fingers. In my personal life I need to get more exercise and lose a significant amount of weight. How long have I known this? Well, I’m the son of a doctor who was medical director of a health conditioning center when I was in my teens. And yes, he knew about these things before that time and after that time, and he taught them to me. I cannot claim that I didn’t know what the health effects of a sedentary lifestyle and excessive food intake (biblical gluttony, no?) would be. While I’m working on reforming this now, I do so slowly and under constant temptation to avoid the needed change. It’s not that I’m tempted to do useless things. In fact, I’m tempted to work, and for me work involves being in front of a computer. So one good thing tempts me away from another one. But that doesn’t make it right. I know I should get more exercise. I know I should eat less. Making those changes so that they are a fundamental part of my new normal is very difficult. Romans 7 anyone? I know many Arminians see Romans 7 as a description of our pre-Christ experience. I see it as very descriptive of what I and many Christians live every day. The problem comes in when we make Romans 7 into a continuous, hopeless loop about everything. Yes, we all have our Romans 7 experiences, but we’re invited into Romans 8. Not that we’ll live at “Thanks be to God, through Jesus Christ our Lord” (7:25) at all times and on all subjects. But no matter how many excuses I produce, I know this: I need to change. There are many reasons why we don’t change, and many excuses for why we can ignore things that we hear. We find some fault with the messenger. The wrong person is making the suggestion, so it can’t really be right. We nit-pick the message. There’s something in there that won’t work in our situation, so we discard everything new and go back to what we were doing. We are change-weary. We’ve tried to make changes so many times and have failed. Why should we try yet another thing? We don’t see our present problems. We’re so used to the way things are and the level of success we’re having, that we think that’s precisely what should be going on. This change is going to cause problems. Usually this means that the leadership is afraid of losing control. I don’t have enough guidance. Where is the calendar, worksheet, study guides, long term plan, etc.? I could go on, but we’ll stop at seven. Nice number! I think, nonetheless, that our bottom line is fear. We are surviving the way we are, but will we survive after we change? The pastor wonders if he’ll lose members. The members wonder if they’ll be happy with the new church service on Sunday morning. The education team wonders if anyone will attend Sunday School. Everyone wonders whether they’ll be annoying their neighbors. And while we might not admit it, we wonder whether we’ll be happy ourselves. So we stay the same. One of the great fears is that we will lose control. This has been the bane of the church from very early times, I think. We’re very much afraid of the movement of the Spirit because the Spirit is not under our management. Not that we don’t try! The spiritual leaders acknowledged that they couldn’t do everything. They confessed that the task of sharing God’s word left no time for taking care of domestic issues. They needed partners in ministry: so they prayerfully chose a group of people to insure that everyone had a share in the community’s resources. They let go of control, and let go of power, so that human needs could be met. Giving up control and choosing to act. When we have acted, we choose to learn from that action and act again. What has impressed me about the church, not to mention my own life, is what a difference we could make if we simply acted on the things we already know are right. Yes, new information is good, but we have a tendency to collect the information and fail to perform the actions. There are many controversial things. But if we laid those aside and simply acted on what we know to be right, what might happen? I doubt that church would like like the church in America at this moment. I just extracted a post from Dave Black’s blog and put it on The Jesus Paradigm. For those unacquainted with Dave’s blog, I do this so that I can get a permanent link, and I have his permission to do so. Dave asks some important questions. How do our values impact the way that we live and the way that we serve? I often hear my generation telling the next one how they ought to be careful and make sure that everything is properly cared for before going into service. On the other hand, my parent’s went overseas to serve in remote areas with all their worldly goods in a station wagon and small trailer, along with four children in the car. Was it risky? No doubt it was. Did they believe they were doing the right thing? Absolutely! I never heard them say that they would have had it any other way. They believed God had called them and they answered. My mother tells her story in her little book Directed Paths. I’m going to offer a free copy of her book to a randomly selected commenter on this post. I’ll close the contest on Monday. Just make enough of a comment that I know you’re asking for the book and that it’s not spam. The most obvious conflict with the fusion of Christian and American identity is that it denies the universal nature of the Kingdom of God. When our allegiances are too strongly aligned with any kingdom of this world, be it the relatively benevolent kingdom of America or a malevolent kingdom like Nazi Germany, it takes away from our ability to reflect the unique beauty of Christ in the world through our lives. Discipleship is costly. It costs us the identity that we had before Christ broke into our lives and snatched our affections away from this world for Him. This little book (Topical Line Drives, 42 pages) is headed to the printer. Pre-order price is $3.49. Regular price will be $4.99. If you order three of them, or order another book or so, you’ll get free shipping as well. If you don’t know I own a publishing company (Energion Publications) by now, I’d be pretty surprised. It’s not as though I don’t talk about it regularly. One of the things I find interesting about blogging is to discover which blog posts actually catch people’s attention. There are times when I have put my heart and soul into a post, writing about something I consider extremely important, and there’s no response. At other times I write something quickly just because I feel I haven’t blogged enough, and I get comments, links, or e-mails that indicate it has really touched someone’s life. This unpredictability is great fun! As a publisher, however, the idea is for me to figure out what people will actually read, because I will be investing money in producing the book, and I need someone to buy it in order to stay in business. Now I say I run my business as a ministry, i.e., the primary mission is more to educate and to build the Kingdom (to use the Christianese expression) than it is to make money. If I simply put my entire time into using my IT skills, I’d make more money. Yet at the same time, it is a business and so it does have to make money. As such, part of my job is to determine whether people will buy a book before it is released. It’s interesting how often these goals collide. There are manuscripts I know people would buy, but I don’t consider them of any great value. No, I don’t place my judgment over the popular judgment. There will always be somebody to publish popular things. I’m not depriving you of them! But what about the things that say that becoming a Christian is not a matter of guaranteeing that you will be healthy, wealthy, and wise? What if they say that you may die of cancer rather than be healed? What about books that talk about martyrdom, persecution, and sacrifice? Who publishes those books? Such books do get published, and I do not claim to be the only one to do so. But I do think it is part of my duty to make such books available to people. And I’m not just talking about books about the negatives of becoming a Christian. (And quite frankly, in the United States, being a Christian can be quite good for business. Where I live, a common question in business networking is: “Where do you go to church?” It’s a good idea to have a “safe” answer that makes people feel you’re a part of the community.) I’m talking about books that challenge our prejudices, that ask us to think about things we might rather avoid, and that ask us to take action rather than just deal in theory. Let’s face it. A lot more of us talk about various reforms than are willing to take actions. Do you believe in house churches? Are you ready to get out there and start one, or join a group that is doing so? Every member in ministry (a good UMC slogan)? Are you involved? If you’re a pastor or other church leader, are you willing to give up some of your power and control so more people can get involved? Are you willing to go look for people and challenge them to get involved rather than waiting for them to volunteer? Which brings me to the book I can’t give away. The cover is pictured over to the left. 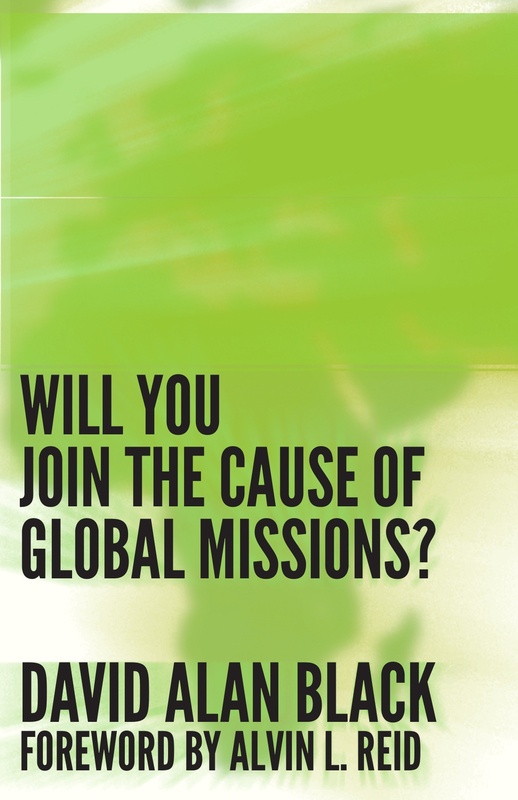 Will You Join the Cause of Global Missions? It doesn’t sell very well. In fact, there’s a very specialized book by the same author, The Authorship of Hebrews. It quotes Greek words and phrases, and deals with a very technical issue of interest to a relatively small number of people. It’s not precisely a bestseller, but I sell more copies of it than I do of Will You Join the Cause of Global Missions? Many Christians have grown up with a very limited concept of “missions” and “missionaries.” In this view a missionary is a person who goes and preaches to lots of people, often in primitive lands, and explains the theology of the gospel. The natives are convinced and become Christians. Thus the gospel commission is fulfilled. Actual missions have not been carried out in this way very much…. This sort of mechanical view has damaged the concepts of both evangelism and missions and made them bad words with many people. But a church without a mission is very dead. A church with a mission that is all internal is likely dying. I haven’t been going out and speaking at many churches lately. I spend most of my time in front of this computer. But I used to tell pastors I could gauge the health of their churches by asking a few members what the mission of the church was. In a healthy church, people will be able to answer quickly and clearly. “But evangelism,” someone says, “that refers to holding boring meetings in a tent trying to convince people to give their hearts to Jesus.” No, not so. Evangelism is spreading the good news. Let me give an example. My parents were missionaries, and they carried out evangelism. Neither of them ever conducted a tent meeting. My dad was an MD, and my mother (who is still active at 96 years old) was a nurse. They operated clinics. They cared for people. They prayed with people personally. When you visited their church, you would be invited home to lunch. I hear people taught to make visitors welcome by speaking to them and getting to know them. Good! Let’s do it. (Though I have a problem in that I’m a member of a 3500 member church and I often can’t tell who’s a visitor and who’s not. That may be another problem!) But for my parents making someone welcome meant making sure they had time to get truly acquainted, making sure that person was fed, and if they had needs, that those needs were met. I wonder how many people in our churches would be willing to take that on today? I suspect that many people simply don’t want church to change the fundamental way in which they live quite that much. That’s getting way too much into other people’s business. We don’t want to do that. The thing is, that sounds to me much more like the way the gospel was spread in New Testament times. I’m fully aware that times have changed. The church needs to adapt. So let’s ask this: Is the way we’ve adapted working? And so we return to the book I can’t give away. I’ve tried to give Will You Join the Cause of Global Missions? away in various places, from academic gatherings down to personal meetings with people. It’s not quite true to say that I can’t give it away at all, though at one academic gathering it was the only book from my book table of which I had the same number on my return as when I’d left. I’ve never run out of them. I’ve tried. 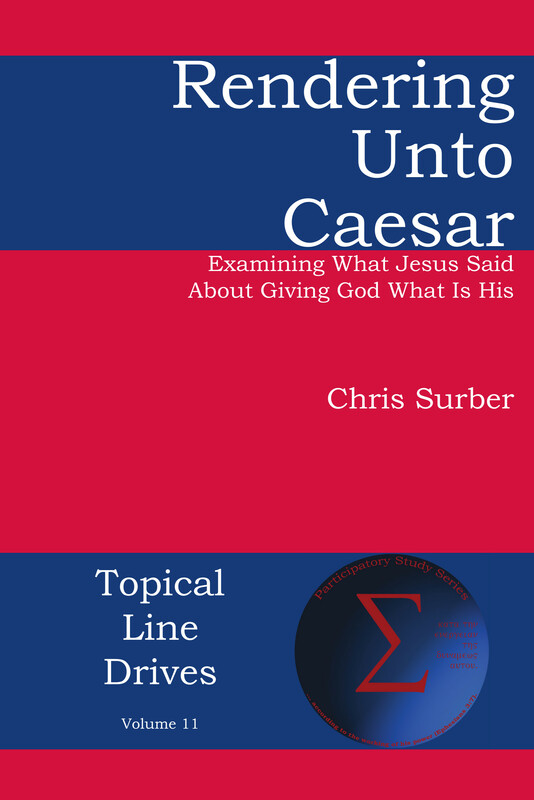 I’ve offered free copies for people to use in study groups or to give away in church. Maybe it’s because the author is Southern Baptist, and I approached people of other denominations. Maybe it’s because he’s conservative, and I talk to people all across the spectrum. But this book doesn’t tell you what your theology has to be. It tells you what to do with it. It tells you the level of commitment that God calls for. I know plenty of people moderate or progressive theology who would not disagree with those points. Besides, how do people know when they haven’t read the book yet? My real challenge here is not to buy this particular book, though I’d be delighted if you did. What I hope you’ll do, however, is look at what you believe and then check out your actions. Do you believe you should be out doing social action, yet you’re sitting in the pew instead? Then get up and go! I’m not trying to define your mission. That’s up to you, hopefully as you discern God’s leading. Whatever it is, do it! I didn’t intend to when I started this post, but I just noted that I have 16 copies of this little book on my office shelf. This book talks about mission, it talks about martyrdom, and then it asks you to commit yourself to it. Let me know in the comments. Tell me how many you need and up to what I have on my office shelf I’ll send them to you free of charge. No shipping or handling either. Just ask. If you need ten copies for a church group, tell me that. First come, first serve, until they’re gone. Don’t worry about whether your mission, as you understand it, is the same as Dave Black’s. You aren’t called to Dave Black’s mission. You aren’t called to mine. You’re called to yours. If you need more than 16, or you want some after I’ve given those away, I’ll work out a price that will cut this as close to my cost as I can manage. I can’t afford to lose money, but I can live with making pennies on the book. Just email me (henry@energion.com) and ask. I am frequently amazed by our authors at Energion Publications. I suppose that other editors and owners are likewise amazed, but I think we have a very special group. Just the other day I received notice from an author that he had signed his contract, but that he wanted to donate his royalties to our literature fund, a fund we use to send books overseas or to people who can’t afford them. I hadn’t asked. In fact, I don’t ask for funds to support that project. We’re not a non-profit. It’s just one of the ways we try to give back. The thing that impresses me most about our authors, however, is the way they live what they believe. I don’t know of any of our authors who doesn’t in some way embody the books they have written. When I hear what they are actually doing, it’s what I would expect based on what they wrote in their books. And that’s a great thing. Way back when … well, actually in 2010 … we were contacted by a potential new author who had a story to tell. I like books that tell a story, particularly when that story is a testimony. This was Renee Crosby and her life and vision had been changed by a seminary assignment. She had been asked to serve a certain number of hours in the community as part of an assignment. She spent that time in a soup kitchen. Now as the book will tell you, Renee had become extremely busy in church. She was an active Christian. But that activity was generally in church. When she reluctantly went out to complete her assignment, she encountered Jesus in a new way, right there in the soup kitchen. So she wrote her book Soup Kitchen for the Soul to invite other people to this same discovery. I was hooked immediately. I have frequently visited churches that are busy, filled with active members. But if you review their church bulletin or newsletter, the vast majority of what they do is designed to serve the members. It’s people in the church doing things for people in the church. Now there’s nothing wrong with that. People in the church should be doing things for one another, caring for one another, building one another up. But we should also be “provoking one another to love and good deeds” (Hebrews 10:24), and those good deeds should serve those outside the church as well. This is a book with a great message. It deserves to be read much more than it has. It deserves to be studied. But Renee is now experiencing the next phase of her testimony. As she explains in the video below, she is in treatment for breast cancer. But she’s not taking it lying down. Instead, she’s trying even more to provoke others to love and good deeds. We’re also going to donate 5% of our proceeds in addition to what Renee donates as our way of supporting her in this endeavor. In addition, the book is now 30% off with the use of the pink30 coupon. To use that coupon, you need to enter the coupon code on your shopping cart on checkout from Energion Direct. If you need some more help with the coupon, you’ll find it here. When it rains it pours, so I’ve been seeing a lot of posts about mission lately, and here’s another one that raises some very interesting points. (HT: Kouyanet). Having served on and led short-term mission teams, grown up with long-term missionary parents, and served on mission committees, I find that a great deal of this resonates with me. Read it all and give it serious consideration. This is to be a series. I intend to follow it. One thing that strikes me is that minor changes in the details are not the solution to the various problems (see Of Resources and Mission Priorities and Worship, Service, and Mission). Our problem is that we don’t view ourselves as on a mission in the first place. We view the church as a way to provide a moral education to our children, a place for networking, and in some cases a route to salvation. Perhaps our committees, agencies, and denominations lack a sense of mission because our members lack a sense of mission. Perhaps that lack of a sense of mission comes from a lack of understanding the basic gospel message.